If NASA someday needs to crash a spacecraft into an approaching asteroid to keep it from hitting Earth, Sacramento State student Elizabeth Gabler will have played a role in keeping her fellow humans safe. 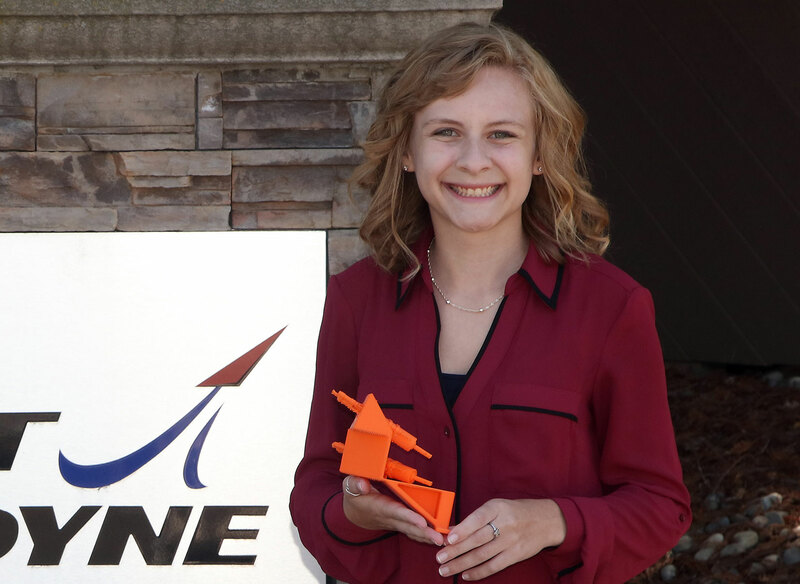 Gabler, a junior physics major, has spent the past several months working for Aerojet Rocketdyne as part of its partnership with NASA on the Double Asteroid Redirection Test project, or DART for short. The project will launch a small spacecraft toward the nearby asteroid Didymos in an effort to redirect it. Gabler designed the brackets that will hold the liquid propulsion onto the spacecraft. “We’re going to crash into it as fast and hard as we can and see if we can move it, how much effect we can have on its orbit, so the next time we know, ‘Okay, we were able to move it this much, we need to make it bigger, or we need it to be going this fast,’” Gabler said. Growing up in the small Sierra Nevada foothills town of Pollock Pines, Gabler developed an affinity for science from a young age – “My parents found a picture of me at age four looking through a telescope at Mars,” she says – and became interested in studying astrophysics while working at the Community Observatory in Placerville while in high school. The Placerville observatory also is where she met employees of Aerojet Rocketdyne, building relationships that paid off a few years later when they hired her as an intern. She since has become a paid employee, and will have a full-time job waiting for her after she graduates. For Gabler, the work with Aerojet Rocketdyne has complemented her studies at Sacramento State. The math and physics calculations she is mastering as a student have been invaluable to her hands-on work on the DART project, and that work in turn helps her to see the real-life applicability of what she is learning in the classroom. Gabler also recently served as the student emcee at an event honoring Ernest Tschannen for his $9 million donation to support the construction of a new on-campus science complex. The facility will be named the Ernest E. Tschannen Science Complex.